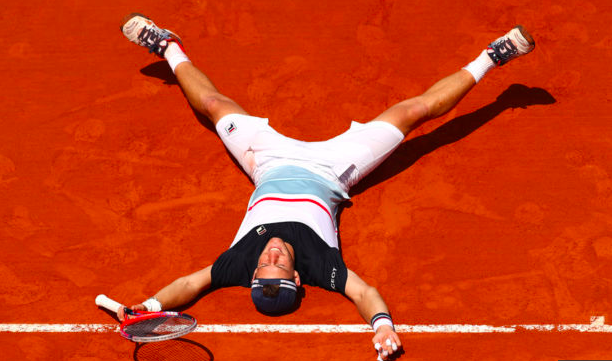 In a David and Goliath-like moment, the 25-year-old Argentine tennis player, nicknamed El Peque for being 5-foot-7, was able to turn the tables against 6-foot-8 Kevin Anderson at the French Open, climbing back for a 1-6, 2-6, 7-5, 7-6 (0), 6-2 victory in a fourth-round match at Roland Garros. The match was slipping away from 11th-seeded Schwartzman quickly, with the sixth-seeded Anderson winning a staggering 76 percent of points on Schwartzman’s first serve in the opening set. Continuing to pick on Schwartzman’s unimposing serve, Anderson broke for the sixth time to put himself up a break in the third set, and served for the match at 5-4. Schwartzman, previously 1-for-8 on break point opportunities in the match, clawed back and broke Anderson twice in a row to sneak away with the third set. Anderson, who hit 19 aces to Schwartzman’s two, again served for the match at 5-4 in the fourth set, only for Schwartzman to break him at love. Schwartzman had lost both of his previous matches against Anderson and said he was not sure how he reversed this one. “I am saying that and repeating it, because I really don’t know how I did,” he said. From there, the momentum was his. Schwartzman took the fourth-set tiebreaker, 7-0, and comfortably won the fifth set, breaking Anderson in all four of his service games. Schwartzman ultimately broke Anderson’s serve nine times, the most times Anderson had ever been broken in one match. Schwartzman’s next battle is against a different sort of tennis behemoth: the 10-time French Open champion Rafael Nadal. 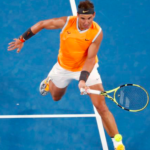 “I know it’s his second home,” Schwartzman said of Nadal and this Grand Slam.